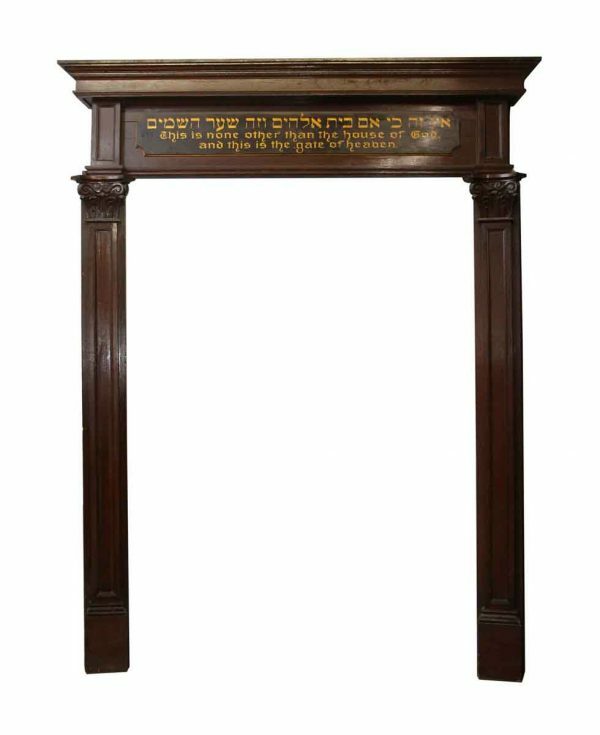 Victorian door molding and pediment salvaged from a Synagogue in Hoboken NJ. 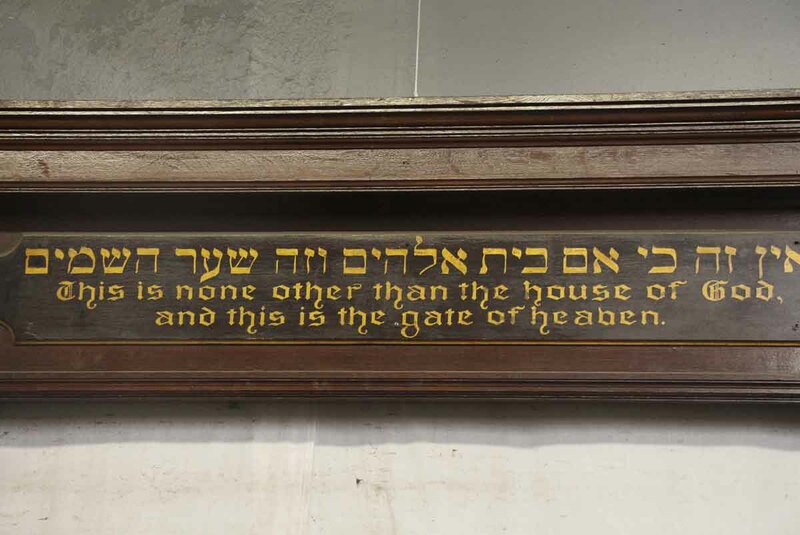 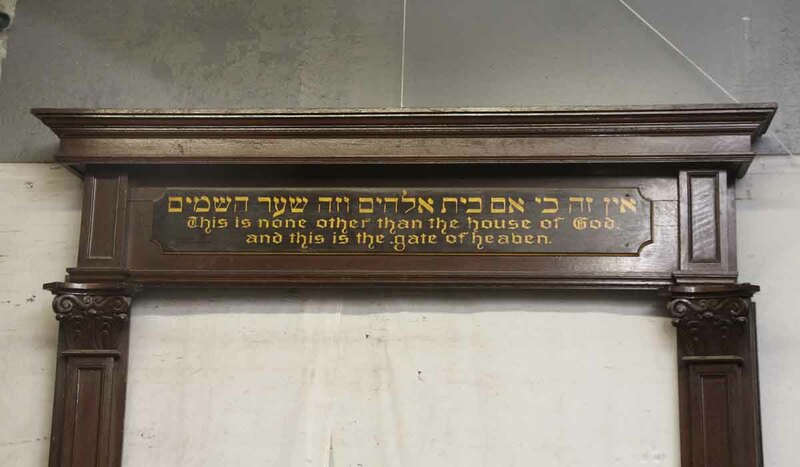 It features beautiful hand painted gold lettering in Hebrew and English. 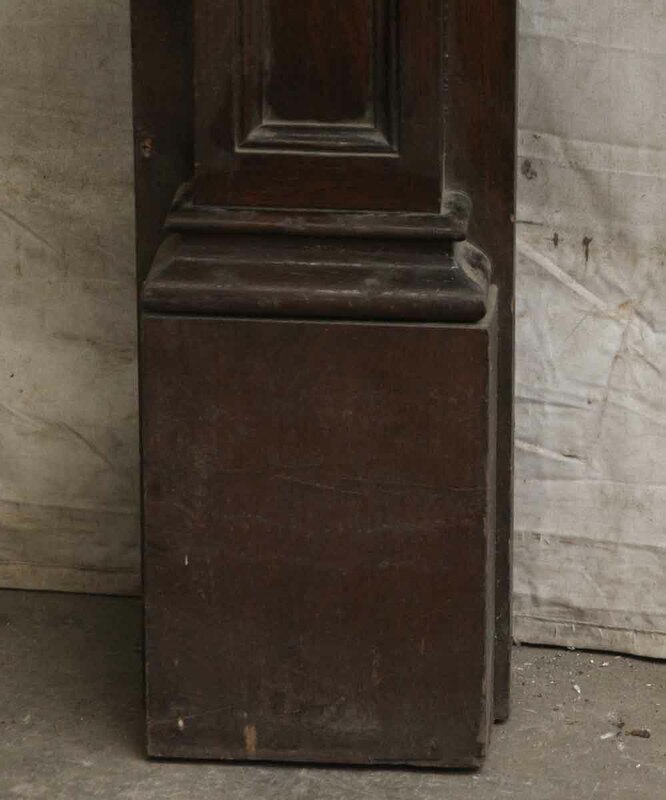 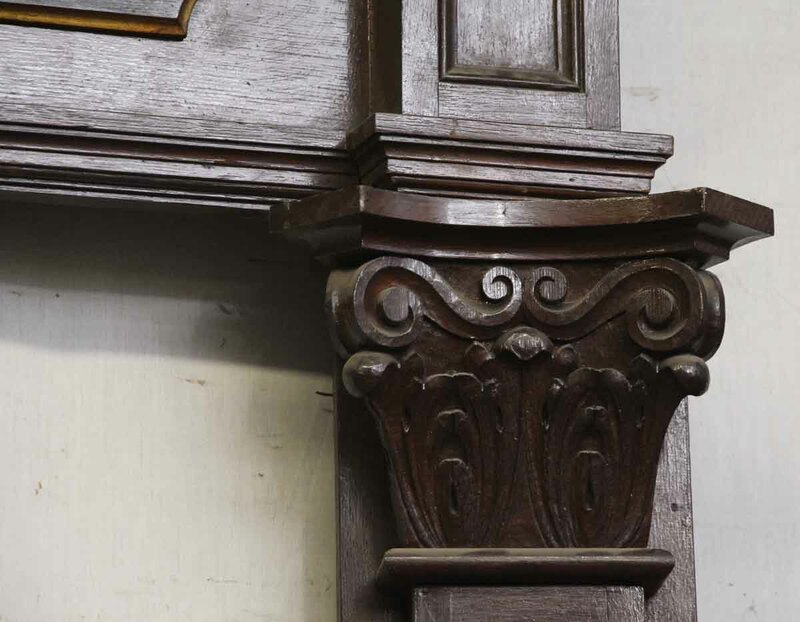 The moldings are all oak, with nicely carved capitals with their original finish.